I am very excited and happy to introduce my 1st tulle skirt collection in collaboration with my gal, Joanna Misseli. It was an idea that struck me the moment I met her. Within 10 days I had the entire concept figured out, planned and executed. We are happy to announce that from today you can have your perfect dreamy, fluffy, girly tulle skirt for the Holidays, TAILOR-MADE ESPECIALLY FOR YOU!! Isn't this awesome? Sweet and Romantic. We created a fluffy *Sparkly Grey* skirt for you, like a star in the sky, with 7 layers of light grey tulle. The one on top is sparkly, of course! Show-stopper. Especially for you, I picked *Scarlet Red* tulle for the top layers and combined it with light grey tulle underneath. Shy... but you want so badly to be covered in tulle! 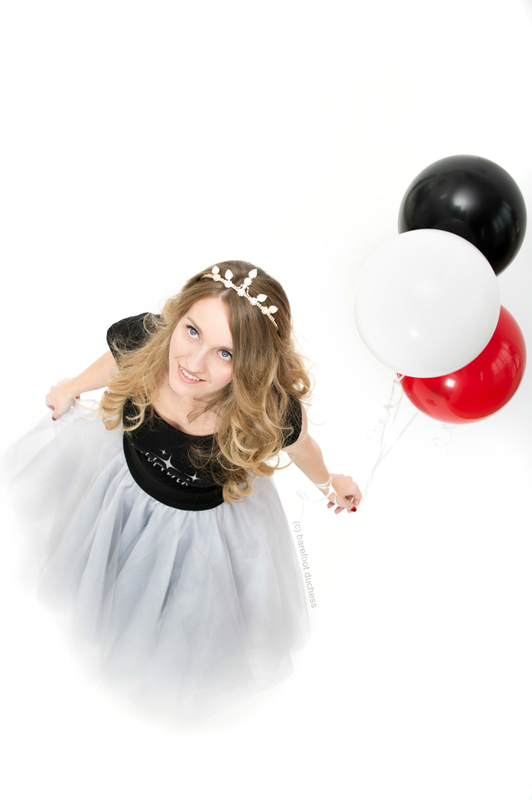 Our *Foamy Black* design consists of 4 layers of classic black tulle on top and 3 layers of light grey tulle underneath, to lighten up the blackness and make the skirt look dreamier.